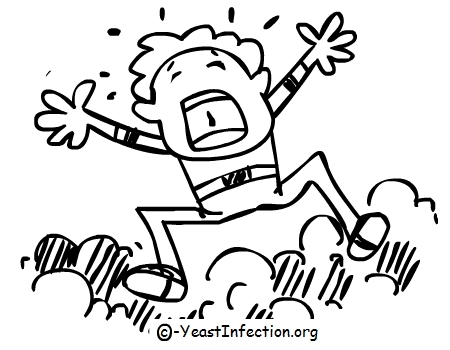 4 Types of Yeast Infection Recovery - YeastInfection.Org by Eric Bakker N.D.
March 1, 2012 by Eric Bakker N.D. Most yeast infection patients get well in several stages; in my experience these are the four different types of patient recovery scenarios I have seen. Some candida patients recover quick, some slowly and unfortunately some never recover fully at all. You may find this information interesting, I have never found any articles similar to mine in any other book about yeast infection and like to present unique content based on my wide range of clinical yeast infection experience. Some recover very quickly from a yeast infection because their condition was quite mild to begin with and they sought help early in the development of their complaints. They followed on through with advice and were fully committed. In my experience, this is the biggest group. Most will only partially recover, then relapse before finally re-committing and finally becoming cured of their candida and digestive issues. Some people almost recover, only to find themselves relapsing several months after treatment. There are still several lifestyle and dietary lessons to learn here, or we are perhaps dealing with a hidden cause. 4. Some Never Get Well. These are the people just after a pill or some other quick fix, some will ignore and others many not want to address those hidden causes. Those who are not willing to fully commit will either get well partially or not at all, and I have seen many over the years. You can lead a horse to water… you know the rest. After several years, I worked out that four months is about the right time for a candida patient to recover, but six months is more realistic for many people, and a full twelve months of healthy living will mean that not only will the candida yeast infection be completely cured, but all of your digestive and skin complaints should be gone and your health should be outstanding. That is, if you followed a healthy program including the appropriate lifestyle and dietary changes. This is the result I would expect you to obtain if you follow the principles I have outlined carefully. I want you to be patient and understand that excellent health can’t be bought, you don’t “catch” good health like you “catch disease”, you have to earn good health and work for it, just like anything in life. The harder at health you work the easier it will become, just like success in any other endeavor in your life, if you put in the work and stick with sound principles it then it will become easier and before you know it you will have achieved success. Nothing comes easy, and if any yeast infection book or product makes claims that sound almost too good to be true – then you can count on the fact that it will be to good to be true. Don’t fall for the hype! “Nothing in the world can take the place of persistence. Talent will not; nothing in the world is more common than unsuccessful men with talent. Genius will not; unrewarded genius is a proverb. Education will not; the world is full of educated derelicts. Persistence and determination alone are omnipotent. Am tremendously grateful to find your website. I have searched through the FAQ’s but haven’t found an answer to this question. Does candida mimic alcohol withdrawal regarding muscle weakness and general shakiness? I am trembling and shaking a lot with any physical exertions, and often, when simply sitting. I haven’t had any alcohol in over 5 years, but this feels very much like the aftermath of a long weekend drinking. Not the headaches or nausea, but the shakiness and muscle trembling. Have seen neurologist and had scans to rule out other possible causes. I have had some candida issues in the past: thrush, nail fungus, and even a bout of systemic many years ago, so I know I am capable of hosting candida. Have you encountered this kind of thing before? ?